Articles – Search our articles archive to read about creationism vs. evolution, the Genesis flood narrative, the fossil record, intelligent design, bible verses about creation, the age of the earth and more. Blog – Read our blog posts on current hot topics like the God particle, Lucy and evolution, global warming, the Bill Nye and John Ham debate and more. Join in the conversion with your own comments and discuss with fellow readers. Church Bulletins – Print out our free church bulletin inserts on creationism and evolution topics as a valuable resource for church members, parents and member of the community. Topics include Neanderthals, Big Bang Theory, Dinosaur Bones, new scientific discoveries and more. Biblical Creation Youth Bulletins – As Christian parents, pastors and youth leaders, help your youth be equipped to stand strong against evolutionary propaganda from their culture, peers and teachers. These bulletins, intended for readers of High School age and up, were written to help young people think the issues through from a biblical viewpoint. This Month’s Newsletter – Our monthly newsletter, written by Creation Moments Board Chairman Mark Cadwallader, covers a wide variety of topics related to evolution, biblical creation, worldviews and events of the day. Highly educational and informative! Newsletters – Click here to read past editions of our monthly newsletter by Mark Cadwallader. Mark writes about compelling topics theistic evolution, Jurassic World, string theory and more. 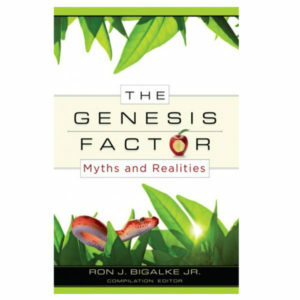 Dr. Don on Creation – Listen to Creation Moments Board Member Dr. Don Clark’s weekly creationism shows on Broken Road Radio. Also read his related articles on topics like the God particle, Bill Nye, bugs, global warming, life on other planets and more. iPhone App – Download our “Today’s Creation Moment” app for iPhone, iPod Touch and iPad for access to hundreds of Creation Moments radio programs. Android App – Download our “Today’s Creation Moment” radio show app for Android mobile devices. Scrambled Scriptures – View and print our weekly Scrambled Scriptures wordfind puzzles for kids and adults alike. A fun way to memorize Bible verses, these wordfinds are great for Sunday School, home, keeping the kids entertained on the go, and more. Library of Biblical Creation Sermons – Listen to free, full-length sermons on creationism and related topics to grow in your understanding of God’s Word and the world He created. Recent sermons topics include the days of creation, Darwin, Tim Keller, theistic evolution, and the Big Bang. PARTNER WITH US TO CONTINUE PROVIDING FREE CREATIONISM RESOURCES LIKE THESE. With the exception of our apps for mobile devices, all of these resources are free for the taking. This is made possible through the donations we receive from friends of Creation Moments. If the Lord puts it on your heart to make a donation, please click here or call 1-800-422-4253 or 1-800-422-4253 FREE during regular office hours.